Museo Sans Display comes in 5 new weights: Hairline, ExraLight, Light, Black & ExtraBlack. I can’t imagine that anyone that is visiting my blog isn’t waiting for something so exiting as the upcoming first edition of Codex. 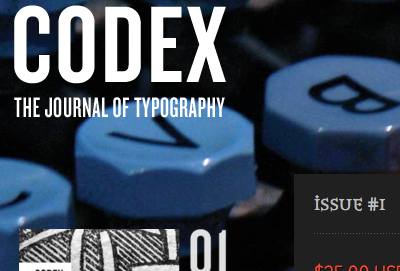 Codex is a new quarterly print magazine with feature articles, type reviews, interviews, tips, type history, new and notable faces, essays, type design, from top typography experts. From what I heard preordering will start any day now. Museo Sans gently unsharpened … that’s Museo Sans Rounded. It doesn’t have italics, but it does have a very heavy 1000 weight. The spacing and kerning has been optimized for display use. Calluna Sans is a humanist sans based on Calluna. It has true italics, small caps, lots of ligatures, 4 numeral sets and much, much more. 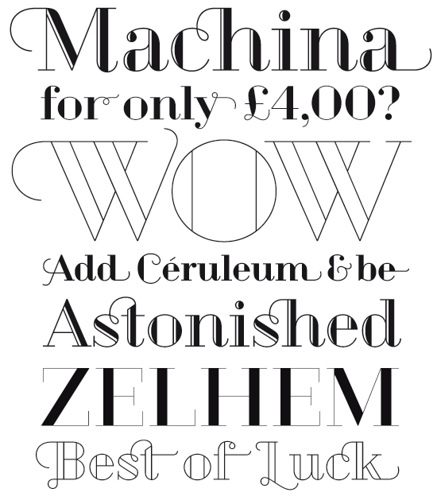 Calluna Sans comes in 10 fonts: 5 weights each with an italic. The regular weight is 100% free! Geotica comes in four different grades or line thicknesses (One, Two, Three and Four) so it’s suitable for a broad use. Each grade has four styles and is loaded with swashes, final forms, lots of ligatures and ornaments. Geotica Three regular is free! Links vom Rhein, 22. Januar 2014 | Hendryk Schäfer on Museo Sans Display released! jasa desain grafis on Museo Sans Rounded released! exljbris on Museo Sans Rounded released!